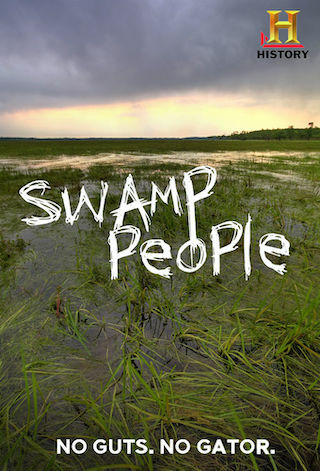 Swamp People is an American 60 minute reality adventure television series, which kicked off on August 22, 2010, on History and is broadcast every Sunday at 21:00. The show is currently in its 10th season. History has officially confirmed the renewal of Swamp People for Season 11. The exact release date is yet to be announced so far. Sign up to track it down. In the bayous and swamplands of America's southern heartland dwell a group of people that exist on the fringes of society. Their distinct culture has roots in the early days of America's expansion westward. The descendants of moonshiners, immigrant railroad workers and early settlers, the swamp people have inherited a legacy of self-reliance and anti-establishment values that make them true American originals, hidden from the view of the mainstream. As a new alligator-hunting season begins, these individuals once again set out to make a living and preserve their way of life. Through all telecasts this past season, "Swamp People" reached 53.0 million total viewers in Live +3 delivery.